With over 20 years’ experience in corporate communications, reputation management and integrated marketing for a range of blue-chip clients and public-sector organisations, Katie is one of the most experienced reputation management and marketing professionals in NI, specialising in stakeholder and investor relations, media relations and reputation management. 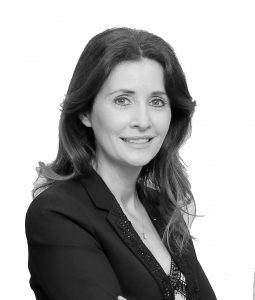 Widely renowned as a leading expert in the real estate and professional services sectors, Katie demonstrates unparalleled knowledge, expertise and experience in working closely with institutional investors and investor developers across the office, retail, residential and mixed-use sectors in the UK and Ireland. Her experience also spans a broad range of corporate clients across the financial, technology, legal and health/life sciences sectors, as well as multiple local authorities. Katie sits on the Leadership Board of Catalyst Inc. and is a member of the CBI’s Economic Affairs Committee in Northern Ireland.